Google has rolled out the latest update for Chrome browser across all platforms. 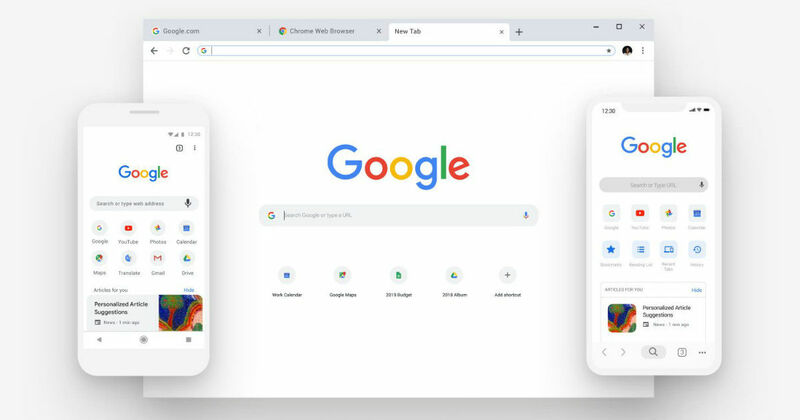 Unlike the usual process, the rollout for Chrome 72 was initiated with Android devices, before being it hit Mac, Windows, and Linux devices. On Android, the one major update that Chrome 72 has brought is incognito media controls, where once Incognito mode is enabled, Chrome will mask the name of the website and the track that is being played from the browser, hence, aiding privacy. The notification tab showing the streaming media is also de-themed, and instead of it adopting the theme of the webpage that is open, the tab appears in a plain, white background. There are, however, no other significant improvements in Chrome 72 for Android devices. During the Chrome 72 beta run, its settings included an ‘Assistant triggered checkout’ mode that could be enabled manually, hinting at integrating the Google Assistant with Chrome tabs and payments done through it. That, however, does not seem to have made it to the stable build. Google is also reported to be planning on changing the ‘incognito’ name to ‘private’, in a bid to better explain the mode to users. On Mac, Windows and Linux, Chrome 72’s biggest update is the removal of Chromecast setup, which can now be done only via the Google Home app on Android and iOS. However, Chrome still retains the casting support with Chromecast, and only the setup process has been shifted. This can possibly be a security measure, since Chromecast was reported to have a router-linked vulnerability that hackers were taking advantage of. Much of the update is centered around privacy and safety of information, with Chrome 72 also including improvements to the Web Authentication API to enable two-factor authentication across various login procedures. Chrome has also revamped the settings menu, with the previously-bundled ‘Autofill’ section now getting sub-sections and micro-controls for passwords, payment methods, addresses and more. The Chrome 72 update has already been rolled out to all Android, Mac, Windows and Linux devices, and should be available to download right away.